Whether it's website text, blog posts, or social media content, I'm all about crafting emotion, instilling visuals, and giving the reader an awareness of your brand and story. I want to know your narrative and understand what you, the client, are hoping to bring the world. I'm all about coordinating copy with your tone, absorbing your voice, and creating something beautiful that tells your tale. Olive & Company is a full-service marketing agency in Minneapolis offering strategy, brand design, website development, digital marketing and more. As a Contributing Writer, I write blog posts that connect audiences to emerging trends and the cutting edge of marketing. By discovering creative ways to solve problems for brands, I assist in connecting with clients who want to effectively reach customers in an ever-changing world of constant connection. Ovative/group is a marketing agency that offers digital marketing services, as well as omni-channel measurement solutions that enable clients to optimize the way they interact with clients, improve customer metrics, and fearlessly unlock the potential found in data. I assist Ovative/group in writing blog posts and website copy for one of their clients. Together, we've helped the business achieve its goals of driving business growth by drawing consumers in with fresh, polished content. The Heirloom Bouquet is an exclusively developed, custom fine art piece, crafted using distinct techniques that will preserve a replica of each client's bridal bouquet for generations to come. Their signature composition features a flat-lay image of the blooms and greenery from the bouquet, artfully styled on fine European linen. I assisted the creator and owner of The Heirloom Bouquet in writing copy for the various pages of her website. We brainstormed tone and style for the wording and came up with an elegant, distinguished, and luxurious brand direction for the product. Living Wellness is a holistic fitness company that equips and empowers individuals by providing the training necessary to lead groups through an 8-week study focused on living a healthy lifestyle. I assisted the owner in revamping the wording on several of her website pages, as well as reorganizing the majority of the copy. I also helped her systemize and arrange her website menu to reflect a more strategic sequence, in order to create an easy-to-navigate website. As a Contributing Writer, I composed student-focused articles that help current and potential college students choose their path to achieve the education goals they set. By creating helpful and encouraging content for college blogs, I assisted past, present, and prospective learners and gave insight into a variety of majors and careers. As Social Media Manager, I oversaw all of Gather Table Co.'s social media channels including Facebook, Instagram, Twitter, and Pinterest. 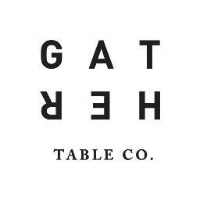 By partnering with the owner, I wrote about and promoted Gather's limited-edition tables and advocated for the company's mission, which is to encourage hospitality, generosity, and togetherness. I investigated and conceptualized fresh and innovative ways to increase Gather's following and marketed the company through creative wording and modern strategy through April 2016. As a Contributing Writer and the Director of Communications, I managed New Life Academy's marketing and advertising, charted and directed school communications, oversaw the school's social media and the NLA website, monitored brand management, generated creative approaches to publicity and sales, and created collateral for Admissions, Development, and other departments at the school. Through collaboration, I partnered with the directors of these areas to increase enrollment and increase the annual giving campaign at the school. I also managed several Communications Interns and created a series of professional brochures for the Academy. As a Contributing Writer, I worked with Slate and Main's former Creative Director, Christopher Behnen, to compose scripts for a series of commercials for a client. Each individual script is unique, yet all are bound together by a singular thread encouraging viewers to pursue their goals and fight for their aspirations. These scripts straddle the line between poetic imagery and grounded description, creating an overall tasteful and artistic connection with the viewer. As Communications Coordinator, I manage the brand and reputation of the Edina Chamber of Commerce through our formal and informal communications, and I inform and engage members and prospective members of the Chamber by publicizing information, activities, and events through email, the Chamber website, and social media channels. My responsibilities include developing and compiling news and information from Chamber staff and community resources, updating the Chamber website on a weekly basis using SmartCMS and ChamberMaster software program, generating and updating current Chamber marketing and communications pieces using InDesign and Illustrator software, managing the Emerging Leaders networking group, and promoting Chamber activities, news, and opportunities. As a Contributing Writer, I wrote lifestyle and advice articles for brightpeak financial's blog, which exists to help young families experience life's journey with strength and generosity. I covered topics on everything from budgets and giving to planning ahead for Christmas and shopping smart. As a Contributing Writer and Social Media Manager, I post content to The Christian Connector's Facebook, Instagram, and Twitter pages in order to promote free Christian college resources, scholarships, and tips and tricks for managing life while in school. I also write student-centric articles detailing the specifics of certain majors, as well as creative how-to's for college life. To view all of my work, please take a look at my Contently portfolio.